Notes The Morris LRC was chosen as an interim vehicle to help supplement the supply of Humber LRCs. The British had left many of their reconnaissance vehicles behind in France and these numbers needed replacing as fast as possible. The Morris LRC was based on the chassis of a standard Morris truck and built using rolled steel. The crew sat together in a single row of seats and the vehicle was armed with the standard weapons used in most of the early British armoured cars in the shape of a Bren light machine gun and Boys anti-tank rifle. 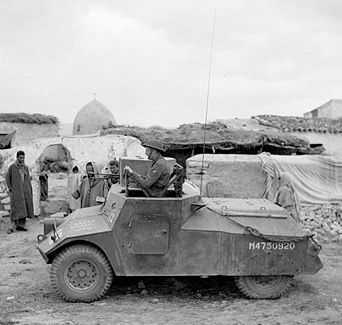 The Morris LRC Served in North Africa, Italy and Northwest Europe and were issued to army and RAF units.